Welcome, SuperPhillip Central readers-- both regular and new, to SuperPhillip Central's weekly look/listen to some of my favorite video game music tracks. This is a special themed week that is based on arcade-style racing games. There is no need to slow down on these turns! Such games featured this week include Super Mario Kart, Crash Team Racing, and Sonic R! If you'd like to travel back in time and visit past VGM selections, race on over to my VGM Database! 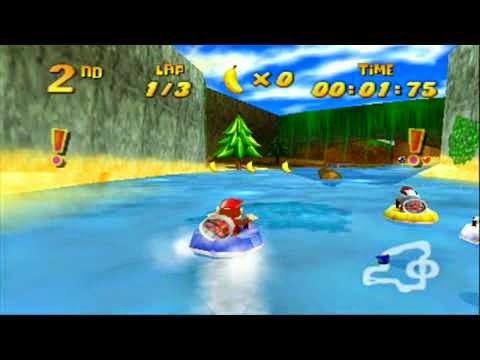 The original Rainbow Road delivers high speed thrills and chills, as there are no rails to keep you from falling into the abyss below, adding a lot of unneeded seconds to your overall time. 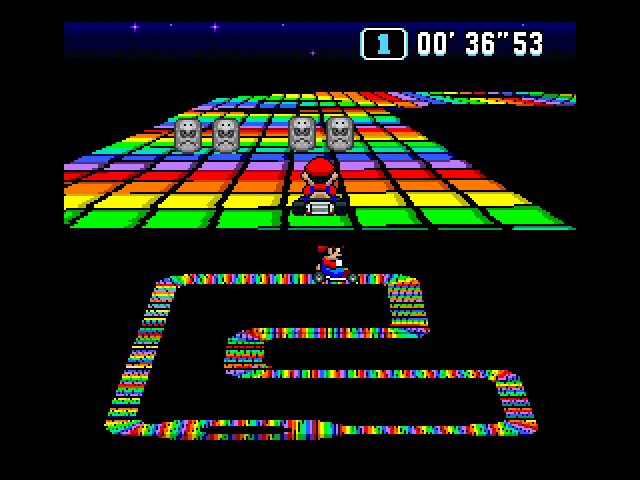 Rainbow Road from Super Mario Kart is such a popular track that it has since appeared in three Mario Kart games: Super Circuit, Mario Kart 7, and Mario Kart 8's DLC. Its luxurious theme plays during all iterations of the track, but I prefer this classic version. 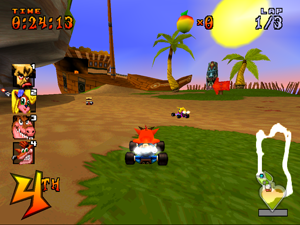 Crash Team Racing has many fantastic attributes to it. Its track design is splendid, its shortcuts are cleverly crafted, its item balance is fair, its challenge is adequate, and its adventure mode is terrific. One thing that isn't so amazing is the soundtrack. While there are a few standouts such as Crash Cove, the first major track of the game, a lot has the ears leaving much to be desired. 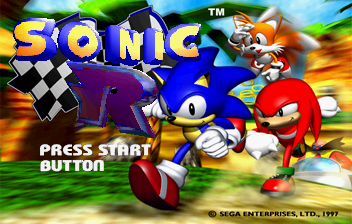 A cheesy soundtrack for sure, Sonic R's music has that feeling of charm (and awesome vocals, too) that makes it work somehow, even if the actual racing wasn't the top of its class. You still have to give Sega credit for making an adventure out of racing, with multiple shortcuts, extra areas, and much more. Back in Time is a uptempo Euro-pop tune, a definitive artifact of when it was originally released. Nothing like speeding down a zero G track at highly dangerous speeds to get the blood pumping. It's even better when you have Taro Bando's rocking F-Zero X soundtrack to accompany you! Just don't go too far over the limit, or you might find yourself careening off course... and off the course, too! 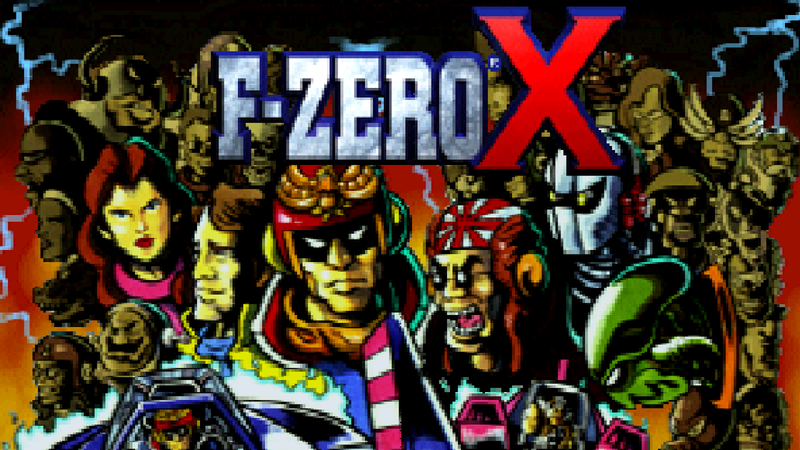 F-Zero X has one of the best soundtracks for the Nintendo 64, and just hearing this theme again makes the thirst for a new F-Zero oh-so real.